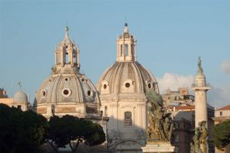 Private 6 person tour with ItalyTours EU, best of Rome, 6 hours, 100E each including port to port. CAB met us at the port. Flavia showed our group of 4 around Rome for an entire 8 hr. Flavia showed our group of 4 around Rome for an entire 8 hr. day. Skip-the-Line, early-morning Vatican Tour was 3.5 hours. Skip-the-Line, early-morning Vatican Tour was 3.5 hours. Don&apos;t go on a Monday. There are typically 20K visitors on "Big Monday(s)." Our guide, Therese, was knowledgeable and pleasant. We took the Best of Rome tour. Very good and very detailed. Very good and very detailed. It was clear the driver was passionate about his city. We liked the idea to have our own personal driver to completely customize our sightseeing in rome. Toured in a mininbus with 3 other people. Found two other couples on Cruise critic blog to do 7 person tour of Rome with Driver Guide Services. Picked up at port in AC Mercedes SUV. Visited all the sites including skip-the- line trip inside Coliseum. Driver/Guide was great. we book the taste of Italy and Rome. It was an extremely crowded day in Rome, which took away from our experience a bit. Very busy day, saw a snapshot of pretty much every high light. Vatican was incredible and had a very knowledgable tour guide. Unbelievable...took bus to Rome and met Andrea from Withlocals. 2 couples in a Mercedes van for full day with English speaking guide. ROME & PRIVATE VISIT OF VATICAN CITY MUSEUMS. This was the best tour company. This was the best tour company. We booked tickets for colosseum underground. we saw so many things in Rome.